Want to automatically grow your Campaign Monitor mailing lists when your forms are submitted? 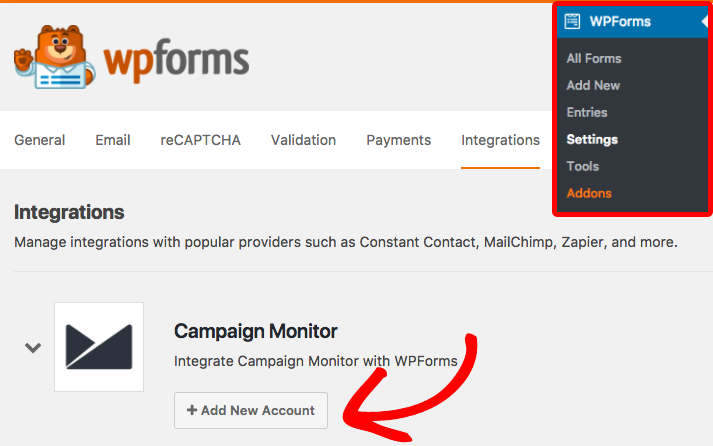 With the Campaign Monitor addon for WPForms, you can easily create a new subscriber each time a user submits a form on your WordPress site. In this tutorial, we’ll show you how to install and use the Campaign Monitor addon. Requirements: You will need a Plus license level or higher to access the Campaign Monitor addon. Before we get started, be sure to install and activate the WPForms plugin. Then, you can go ahead and install the Campaign Monitor addon. For more details, please see our tutorial on installing WPForms addons. 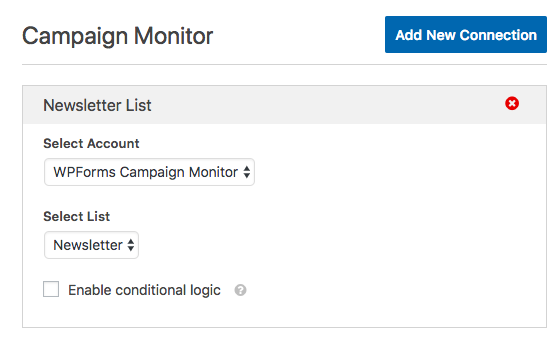 Now that the Campaign Monitor addon is installed, the next step is to integrate with your Campaign Monitor account. To do this, you’ll need to go to WPForms » Settings and then click on the Integrations tab. After clicking this button, you’ll be able to see fields for the API key, account nickname, and client ID. To locate the details you need for these fields, you’ll first need to log into your Campaign Monitor account. We recommend opening this in a new tab or window as you’ll need to flip back to your WordPress site again soon. After logging into Campaign Monitor, hover over your profile name in the upper right corner. This will display a menu, and here you’ll need to click Account Settings. From the list on this page, click on API Keys. 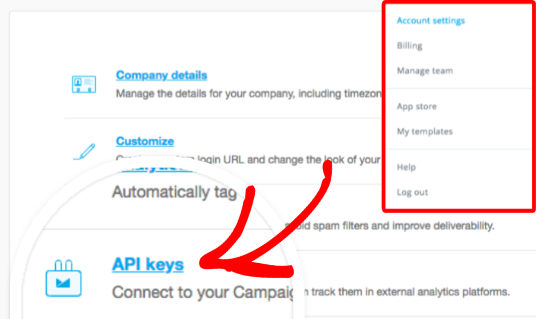 On the API Keys page, you’ll need to click Show API Key to allow the key to display. Once you’ve copied this API key, you’ll need to return to your WordPress site and paste this into the Campaign Monitor API field. Then, go ahead and copy the Client ID from your Campaign Monitor account into the Campaign Monitor Client ID field. For the Campaign Monitor Account Nickname, enter any name you’d like as this is for internal reference only (will be helpful if you later add an additional Campaign Monitor account). When you’re ready, click on the Connect to Campaign Monitor button to continue. 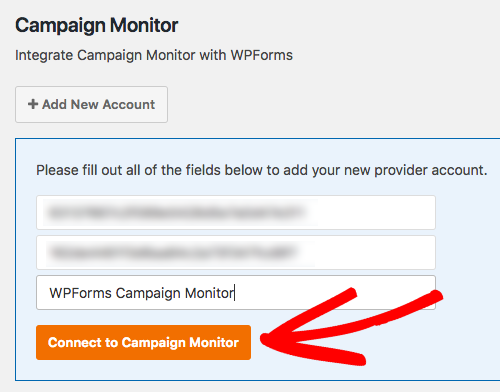 WPForms will now connect to your Campaign Monitor account. When done, it will show a green Connected status next to your Campaign Monitor integration. To add Campaign Monitor to a form, first create a new form or edit an existing form. Within the form builder, go to Marketing » Campaign Monitor. Within the Campaign Monitor tab, click on the Add New Connection button. This will open an overlay where you can provide a nickname for this connection. You can use any nickname you like, as this is for internal reference only. Once the connection is created, you can connect to a specific list from Campaign Monitor. If you have more than one Campaign Monitor account, first Select Account. Then under Select List choose the Campaign Monitor mailing list you’d like to use. Next, the fields available within your Campaign Monitor mailing list will be listed. In order to send data to these fields, you’ll need to select the corresponding form fields from the dropdowns. 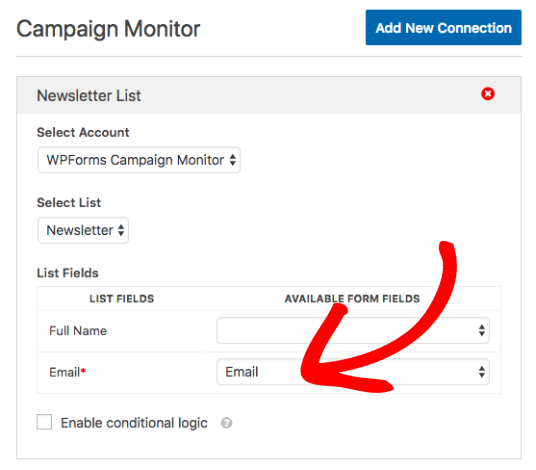 In order for subscribers to be sent to your Campaign Monitor list, be sure to connect the Email field. Conditional logic allows you to set rules for events based on the user’s selections in their form entry. 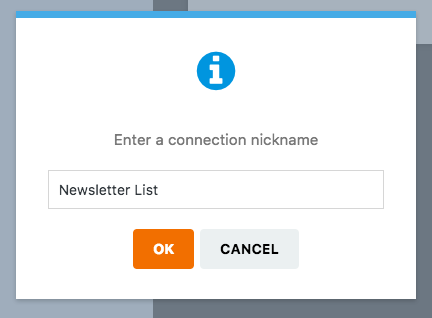 For example, you could use conditional logic to allow users to choose if they’d like to be added to your Campaign Monitor mailing list. That’s it! You can now grow your Campaign Monitor mailing list with each form submission. Next, would you like to offer incentives to potential subscribers? Be sure to check out our article on lead magnets to find out how to offer downloadable content in exchange for a user subscribing to your mailing list. Fixed: Typos, grammar, and other i18n related issues..
Changed: Improved display order of account fields. Fixed: Error when adding account from Settings > Integrations tab.